This work was a turning point in El-Funoun’s artistic experience where El-Funoun challenged preexisting notions about how Palestinian dance should be. 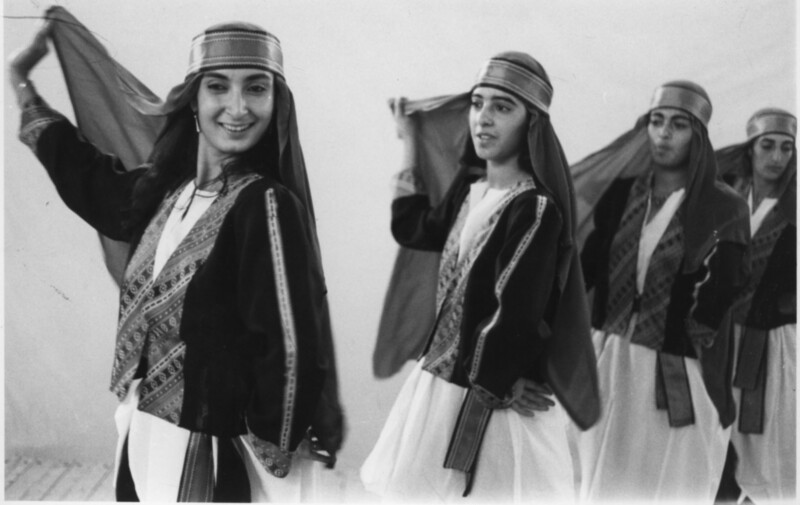 From the specially designed colorful costumes, to the not-so-familiar choreography that derived from folkloric Palestinian dance, while merging some touches of international contemporary dance forms, to the sound and light effects, El-Funoun broke new grounds and set new standards in Palestinian popular dance. Music was composed especially for this work on lyrics which were also uniquely written for it. Marj Ibn Amer was created in mostly clandestine dance sessions during the first two years of the Palestinian Intifada, facing not only the obvious repressive measures of the occupation where many members were imprisoned, but also internal criticism by some Palestinian intellectuals, who believed that cultural expression during the Intifada should exclude music and dance, except for the very overtly political works. El-Funoun insisted that its artistic work not only isn’t contradictory with any form of struggle, but also compliments those other forms by addressing cultural/intellectual dimensions of the struggle that must not be ignored or shelved.